It is a popular misconception that utilising solar energy is only possible in hot, sunny climates. The reality is that it is daylight and not just direct sunshine which is the important factor - this is why specially coated panels are developed to collect as much energy as possible, even on the dullest of days. 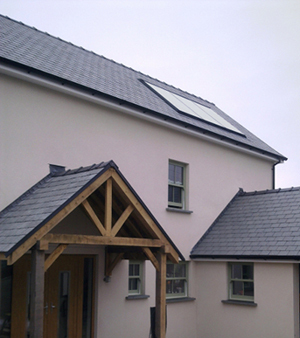 During the course of a year you are likely to get 50-70% of your hot water provided by solar. Most systems are designed to work in conjunction with your current central heating system, providing you have stored hot water in a twin-coil cylinder (usually located in the airing cupboard). If you're thinking of installing a brand new heating system or replacing an old boiler, then it is worth looking into a high efficiency condensing regular or system boiler. By using them in tandem you will reap the maximum cost-saving and energy-saving benefits. Call us today to find out more and see what savings you could be making.